The Walking Dead: The Complete Fourth Season Will Journey to Digital HD on August 26th and Blu-ray and DVD on August 26th! Here's the Full List of Extras! August. Baseball season is in full swing. Barbecues have been blazing since Memorial Day. And fans can count another August tradition, when Anchor Bay Entertainment releases The Walking Dead: The Complete Fourth Season Blu-ray + Digital HD with Ultraviolet and DVD on August 26th. 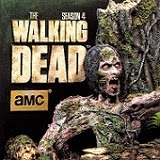 As with previous season releases, The Walking Dead: The Complete Fourth Season rewards fans with hours of bonus features, including never-before-seen production footage, deleted scenes and audio commentaries, with ultra-exclusive content only available on the Blu-ray release, including additional audio commentaries and several “extended” episodes seen for the first time! BEVERLY HILLS, CA – August. Baseball season is in full swing. Barbecues have been blazing since Memorial Day. And fans can count another August tradition, when Anchor Bay Entertainment releases THE WALKING DEAD: THE COMPLETE FOURTH SEASON Blu-ray + Digital HD with Ultraviolet and DVD on August 26th. Each format contains five loaded discs, presenting each episode exactly as it was originally broadcast. The Blu-ray + Digital HD with Ultraviolet presents the episodes in pristine 1080p high-definition and lossless Dolby TrueHD 7.1 audio. 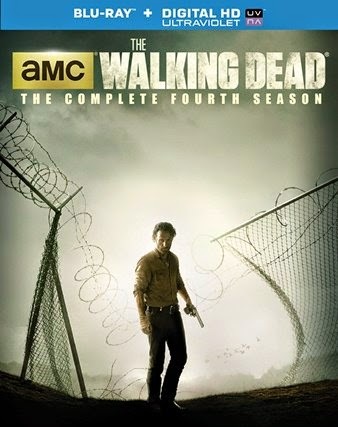 As with previous season releases, THE WALKING DEAD: THE COMPLETE FOURTH SEASON rewards fans with hours of bonus features, including never-before-seen production footage, deleted scenes and audio commentaries, with ultra-exclusive content only available on the Blu-ray release, including additional audio commentaries and several “extended” episodes seen for the first time! 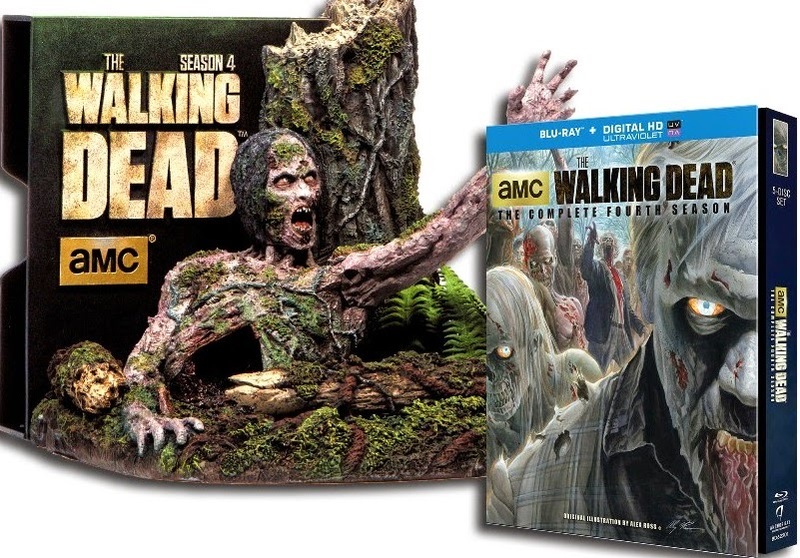 Another “Walking Dead” home entertainment release tradition, started with the Season 2 Blu-ray™ set, is the unique concept packaging by renowned collectibles creator McFarlane Toys. Following in the “shuffling” footsteps of Season 2’s “Walker Head” and Season 3’s “Walker Aquarium,” THE WALKING DEAD: THE COMPLETE FOURTH SEASON will be available in a Blu-ray™ limited edition “Tree Walker” package. SRP is $79.99 for the Blu-ray™ + Digital HD with Ultraviolet™, $69.98 for the DVD and $129.99 for the Blu-ray™ limited edition. Pre-book is July 23rd. · Episodes 9 (“After”), and 14 (“The Grove”) are extended on the Blu-ray™ only. Season 5 of “The Walking Dead” premieres on AMC this October.